A spring wedding is the perfect time to bring in the symbols of the season. 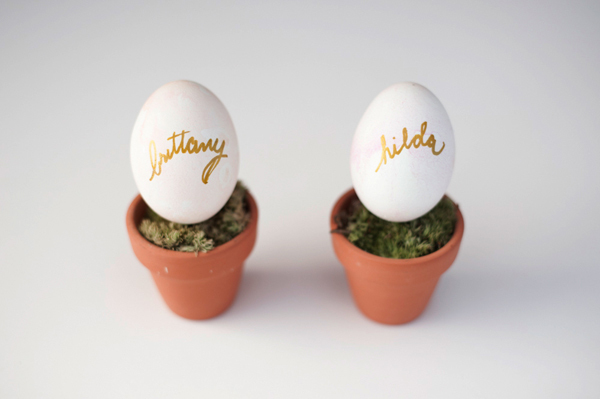 These Easter egg name settings could be used for a rehearsal dinner, engagement party, the reception, or even a simple Easter dinner. Step 2: Add a bit of water into some acrylic paint in a cup. Step 3: Dab some paint onto the wet egg with your brush and let the paint bleed. 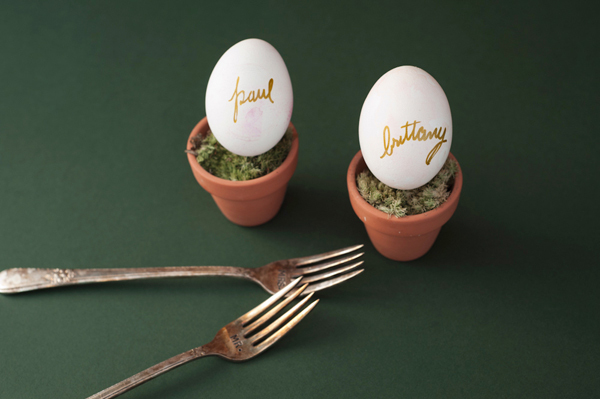 Step 4: Write the name of your guest with a gold paint pen. Step 5: Cut a piece of moss to the size of the pot and insert. 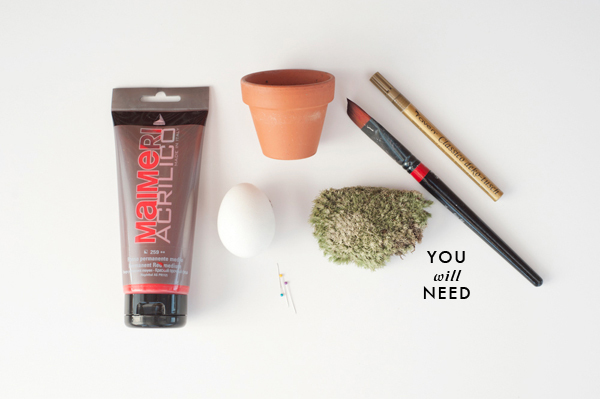 Step 6: Add straight pins into the moss to hold the egg in place. Step 7: Add egg onto the moss.